The Renua leader has been eliminated. LUCINDA CREIGHTON HAS lost her Dáil seat after being eliminated in Dublin Bay South. The founder and leader of the Renua party was eliminated after the fifth count. She was not in the count centre at the RDS when the announcement was made. Eoghan Murphy and Kate O’Connell from Fine Gael look set to take seats, as does former minister and Green Party leader Eamon Ryan. There’s a tight race for the fourth seat with Kevin Humphreys (Labour), Jim O’Callaghan (Fianna Fáil) and Chris Andrews (Sinn Féin) all still in the running. 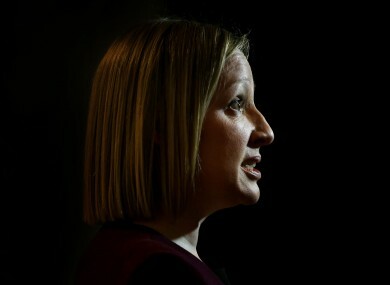 There were early indications that today was not going to be a good one for Renua, a party set up by Creighton last year after she left the Fine Gael ranks in opposition to the Protection of Life During Pregnancy Act. Currently, Wicklow’s Billy Timmons is the only real possibility of Renua taking a seat for the party. Earlier, Creighton was booed by a small number of people upon her arrival at the RDS. The former minister said at that stage that she had “no idea” if she would hold her seat. Email “Renua leader Lucinda Creighton has lost her Dáil seat”. Feedback on “Renua leader Lucinda Creighton has lost her Dáil seat”.